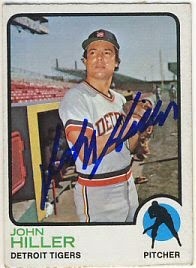 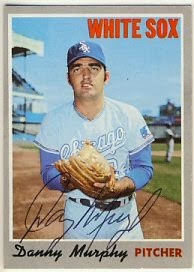 I received a nice return from John Hiller today, who signed his 1968, 1970 and 1973 Topps for me. 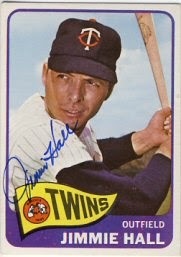 Mr. Hiller has an interesting story, having suffered a massive heart attack in 1971 at the age of 27, and returning to continue his major league career in 1972. 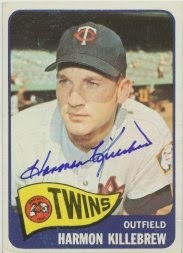 Another return today. 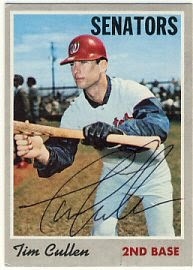 Tim Cullen signed his 1968 and 1970 Topps for me. 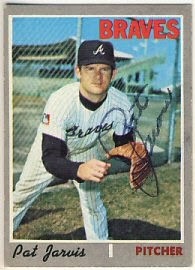 I only have a couple more outstanding requests that I can reasonably expect to get back, so I better get shopping for some more cards. 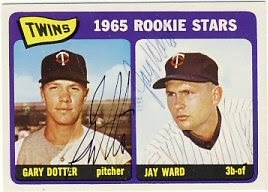 A local collector that I've know from Sportscollectors.net and have met several times at TwinsFest had a Gary Dotter/Jay Ward signed 1965 Topps for sale. 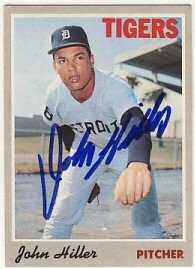 I arranged to buy it and it arrived today. 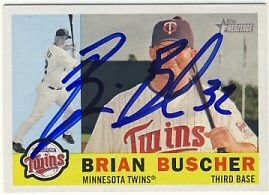 Two more returns today. 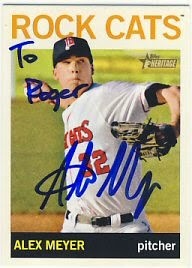 I sent a 2013 Topps Heritage Minors to Alex Meyer during spring training and I received it back today. 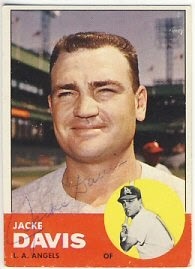 I also received a 1963 Topps signed by Jacke Davis, who also wrote me a nice note about his career after his playing days. 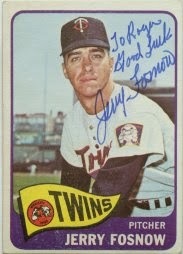 Today I received one return and a couple of cards I bought on eBay. 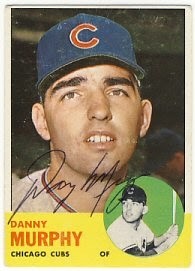 Danny Murphy signed his 1963 and 1970 Topps for me. 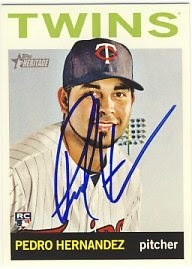 And I bought a 2009 Topps Heritage signed by Brian Buscher and a 2013 Topps Heritage signed by Pedro Hernandez. 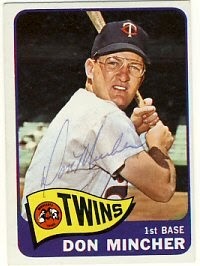 I don't even remember Hernandez from last year. 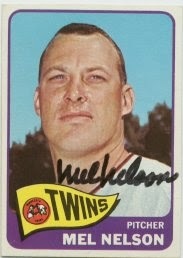 I guess he was traded to us at the end of July. 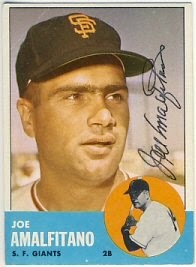 Maybe I quit watching them already by then? 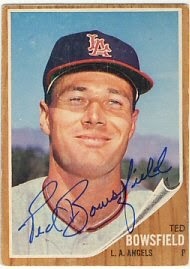 Anyway, I've been trying to pick up some of the Heritage cards of the players that are no longer with the team. 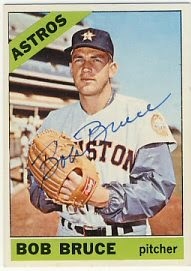 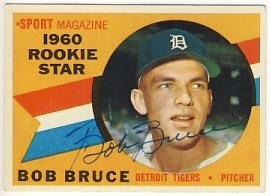 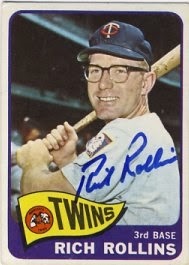 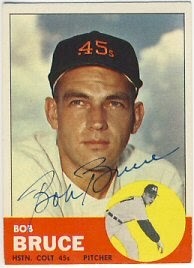 Bob Bruce signed his 1960, 1963 and 1966 Topps. 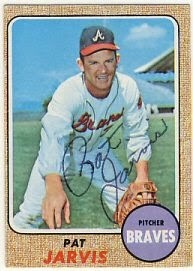 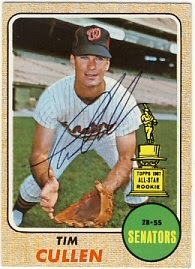 Pat Jarvis signed his 1968 and 1970 Topps. 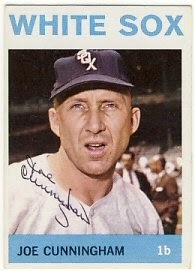 The requests I sent out last Monday have started returning. 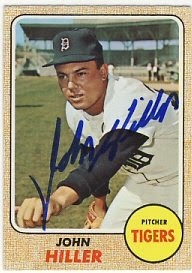 I received three today. 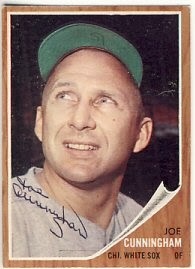 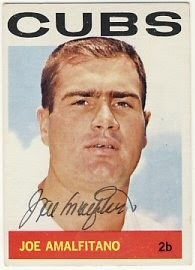 Joe Amalfitano signed his 1963 and 1964 Topps. 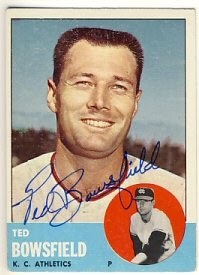 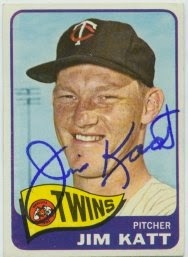 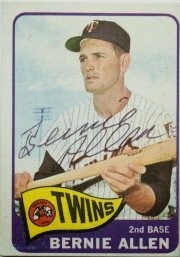 Ted Bowsfield signed his 1961, 1962 and 1963 Topps. 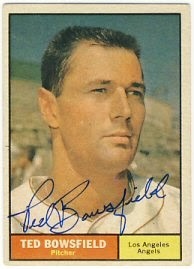 Mr. Bowsfield wrote a nice note about his time in Minnesota with the Millers. 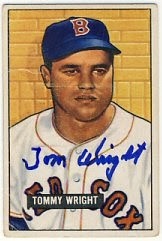 And Tom Wright signed his 1951 Bowman. 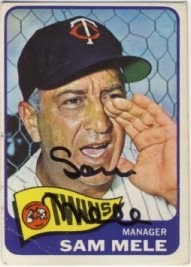 He also included a signed index card for me. 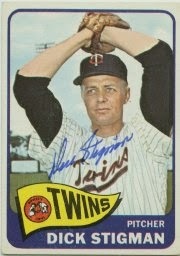 I continue to really like the 1963 Topps and may continue to buy a few more to send out. 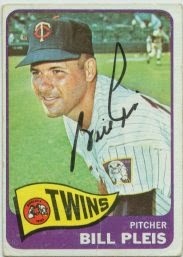 I recently bought a few signed cards on eBay to fill some gaps in my Twins team sets. 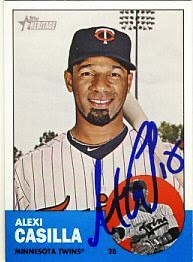 Today I received a 2012 Topps Heritage signed by Alexi Casilla. 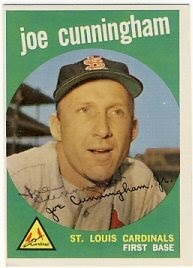 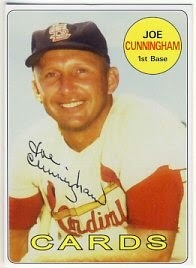 Yesterday I received a return from Joe Cunningham, who signed his 1959, 1962 and 1964 Topps, and also included a signed card of his own. 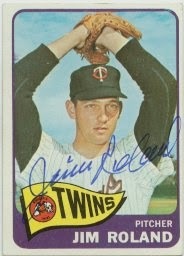 I sent out eight more requests yesterday, so I hope to get several of those back next week. 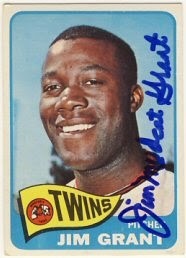 I'm pretty much out of cards to send now so I'll have to stock up. 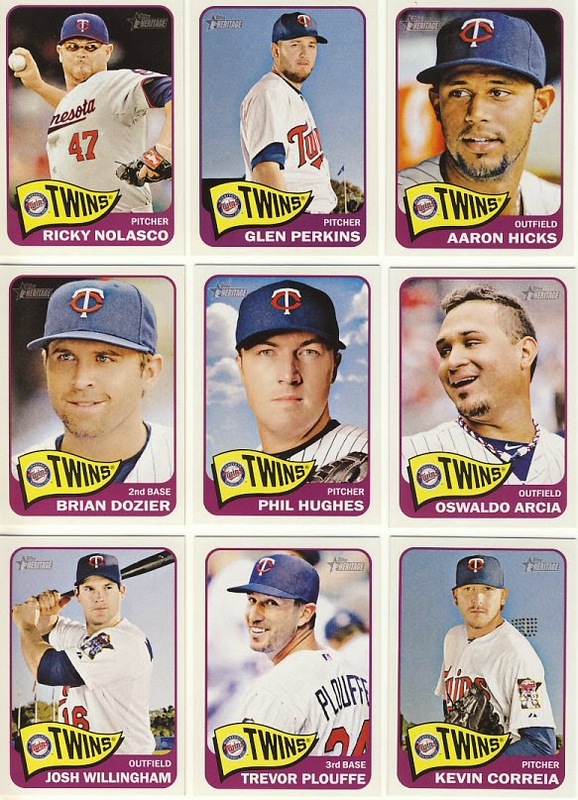 I ordered a few Twins team sets from the 2014 Topps Heritage set that arrived yesterday. 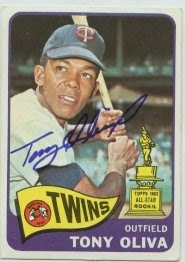 This set uses the 1965 Topps design, which is my favorite set. 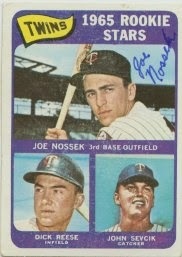 I think it's realistic to get this team set completed, since there are no real super stars on it. 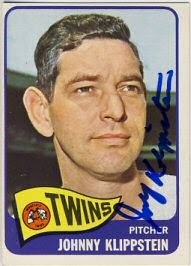 The only problem will be if some of the players get traded before I get a chance to have them sign. 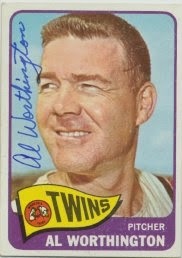 In addition to those pictured below, there's a card for Mike Pelfrey and Kyle Gibson. 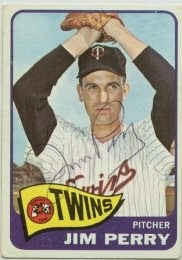 There's also a Pinto rookie card I don't have yet and I still have to buy the Mauer high number card. 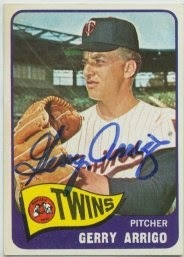 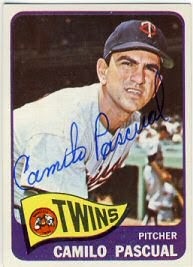 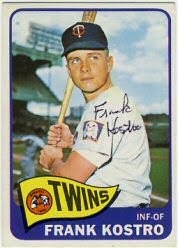 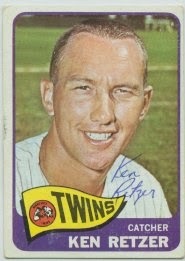 I have about 380 cards signed from the 1965 set, including a decent Twins team set (24). 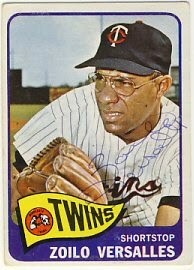 I think the Versalles was signed by his wife. 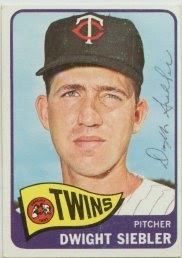 I'm missing Bob Allison, Cesar Tovar and Sandy Valdespino (on the same card), Jerry Zimmerman, the Dotter and Ward rookie card, Earl Battey, and Rich Reese and John Sevcik on their rookie card.